What Can Heartstrong Do For You? Wash your hands frequently. Ordinary soap is sufficient. If soap and water are not available, use an alcohol-based hand cleaner. Antibacterial soaps add little protection, particularly against viruses. In fact, a study suggests that although hand washing with soap reduced the number of pneumonia-related infections in children under five by 50 percent, there was no difference in the results when antibacterial soap was used instead of regular soap. Use a tissue to cover your mouth and nose when you cough or sneeze, or cover your mouth and nose with your upper sleeve, not your hand. Throw used tissues in the trash. Refrain from touching your eyes, nose or mouth. Germs often spread when you touch something that is contaminated with germs and then touch your eyes, nose or mouth. Remind your kids not to share cups, eating utensils and school supplies, such as pens and pencils. Stay home if you or your children are sick to avoid spreading the virus to others. Additionally, staying home and getting adequate rest will help you get back on your feet faster. 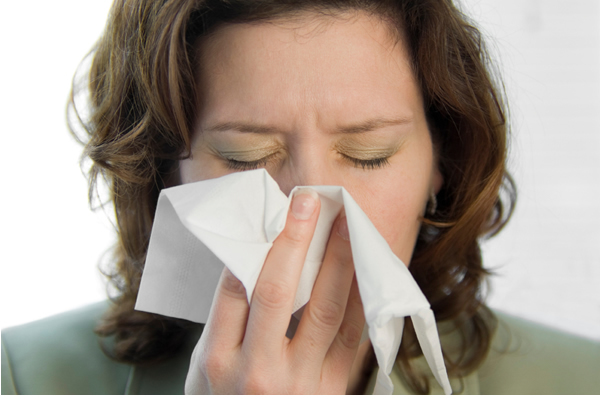 Avoid close contact with sick people when possible. If your child attends day care or school, make sure children and staff are encouraged to stay home when they are sick. If your child’s play date is sick, reschedule. It’s better to be safe than sorry. Add germ-fighting foods to your diet. Click here for ideas. Prepare low-fat, balanced meals packed with a variety of fresh fruits and vegetables, whole grains and lean protein like fish, soy and beans. Choose natural, unprocessed foods whenever possible. Get active as a family and plan fun activities. Symptom Relief Reminders. While a cold or flu must run its course, there are things you can do to ease the symptoms. If your child gets sick, encourage him or her to get plenty of rest and drink lots of fluids, preferably water and noncaffeinated drinks. This will help with hydration and the ability to fight the infection. Gargle with salt water to soothe a sore throat. Use a humidifier to moisten the air and help ease congestion and coughing. Be sure to clean the filter often so that mold doesn’t grow. Several studies have found that zinc lozenges may reduce the length and intensity of colds and flu, and that nasal zinc gel appears to reduce the length and intensity of illnesses related to those viruses. Zinc nasal spray does not show the same effects, however. Consult with your health care professional for more information. Click here for five more tips on fighting a cold naturally. For more information on the health topics mentioned in this article visit the HealthyWomen.org areas below. © 2011 HealthyWomen All rights reserved. Reprinted with permission from HealthyWomen. 1-877-986-9472 (tollfree). On the Web at: www.HealthyWomen.org. This entry was posted on Sunday, January 15th, 2012 at 7:10 am and is filed under Uncategorized. You can follow any responses to this entry through the RSS 2.0 feed. You can leave a response, or trackback from your own site.